Sam Javitch is a New York City based jazz pianist and composer who has been performing jazz since age 11. Sam regularly performs with various ensembles in and around New York City. He has studied with Mulgrew Miller, Garry Dial, James Weidman, Harold Mabern, Cecil Bridgewater, Russ Lossing, Andy Milne, Gerald Cleaver and Tony Malaby. He is a graduate of both William Paterson University and the Manhattan School of Music. He has performed at a number of highly respected venues including Dizzy’s Jazz Club Coca-Cola, Joe’s Pub, Rockwood Music Hall, The Jazz Room at William Paterson University, 55 Bar, and others. He has opened for Lou Donaldson, and has played with Roy Hargrove, the New York Voices, Rhoda Scott, Oscar Hernandez, among others. 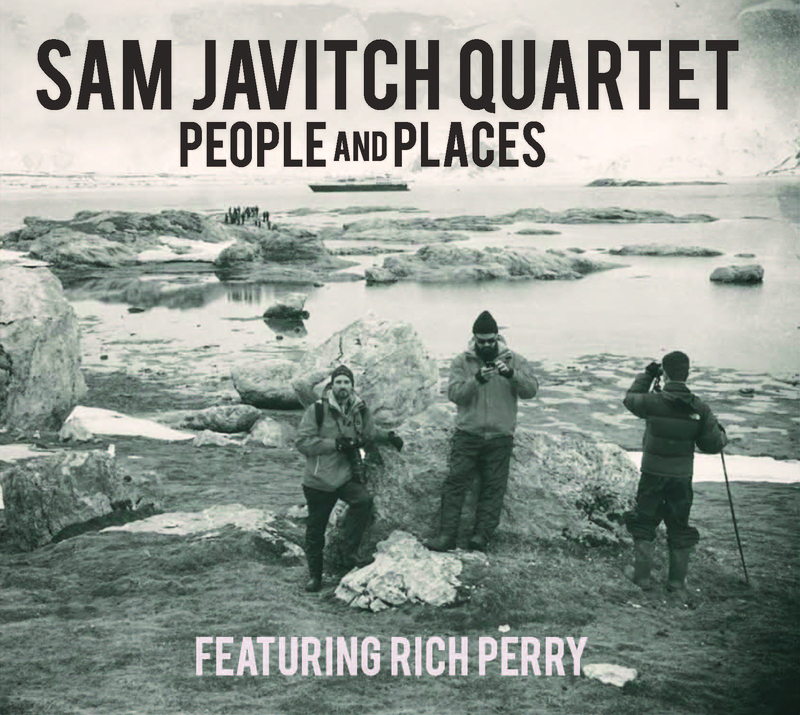 This is the second release from Sam and it shows how he has developed over the years with his long standing trio comprising Adrian Moring on bass, Matt Niedbalski on drums and for this album the New York jazz legend Rich Perry guests on Tenor Sax. The three met and started playing at William Paterson University and you can hear the honesty and trust between them and the team effort in the pursuit of a great sound. This album is a dedication to the people and places that have enabled Sam to grow as a musician and as a person over time. 1. Pitch to Rich – The track that Sam wrote to entice Rich Perry to play on the album. Great toe tapping blues. 2. Parallel Modalities – Very modal, if you close your eyes you can hear shades of Coltrane from Rich early on then a lovely melodic interplay between the guys. 3. Honin Myo (For Sasha) – I recognise the Buddhist concept of ‘from this moment on’ – beautiful concept for a song and life. 4. Lifted – Starts like an old school spiritual then leads into a wistful chilled melody, good song craft. 5. Wiesman Weidman – Nice walking bass and improv from Sam and Rich, great composition. A tribute to his mentor James Weidman. Jazz comes from the heart and soul of the player, it can’t be about the numbers, it’s not about fashion, it’s a true art form. Sam really gets this and the others do too. I can feel the gratitude in this album, I can feel the emotion, the dedication and commitment as well as the unquestionable talent of the players. This is a great jazz quartet album – it works really well, it has all the elements you need, and if you are looking for a pure hearted spirit, dedication, honesty, and good writing – you’ve found it.